CALMIT researchers monitor and model the flow of water through natural and human-dominated landscapes to understand ecosystem function and to improve water use efficiency in food production. Our research is highly interdisciplinary, combining ecology, hydrology, agronomy, and geophysics. 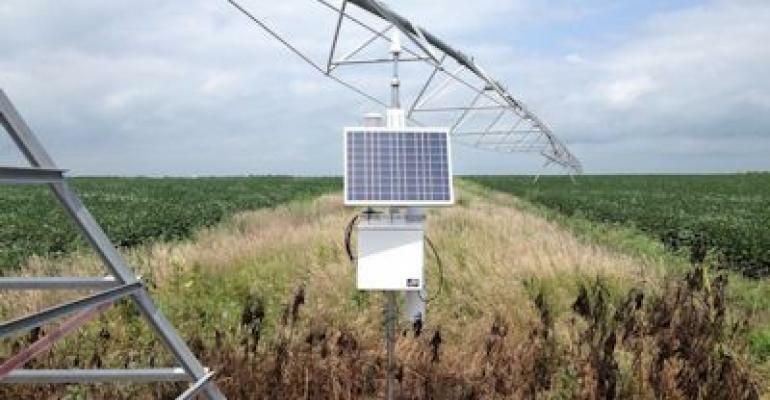 Image: A fixed cosmic ray sensor in an agricultural field site. The long-term goal of this project is to develop the cosmic-ray neutron method for real-time mobile soil moisture mapping capabilities and to advance our understanding of the petrophysical transform, which converts the measured property (the intensity of low-energy neutrons) into the variable of interest (the area-average soil moisture). 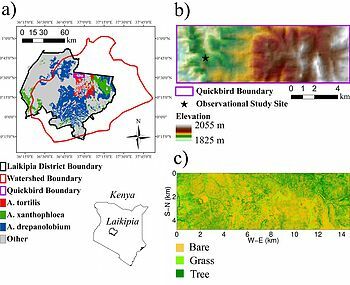 This research will also assess the potential of using remote sensing products to estimate the required local ancillary information for the petrophysical transform as opposed to the current practice of local direct sampling. Drylands cover 40% of the continent of Africa, and are the basis for traditional pastoralist social ecological systems, in which societies have adapted to rely heavily or entirely on livestock production for their livelihoods in harsh and variable environments. Modernity has brought drastic political, social and land use changes, as well as unprecedented population growth, land degradation and more frequent droughts that decimate herds. Here the project team will employ complex adaptive system approaches to evaluate emerging patterns of vulnerability in two pastoralist communities in Kenya which have begun to diversify into maize agriculture alongside their struggling livestock-based livelihood system. We will adopt approaches to investigate how mixed land use affects the sensitivity of range productivity to drought and shifting grazing pressures; how composition and inequities in household livestock assets create differential patterns of risk exposure associated with entry into agriculture; and how evolving land use institutions affect the coping capacity and resilience at individual and collective scales. Franz, T. E., Wang, T. J., Avery, W., Finkenbiner, C., & Brocca, L. (2015). 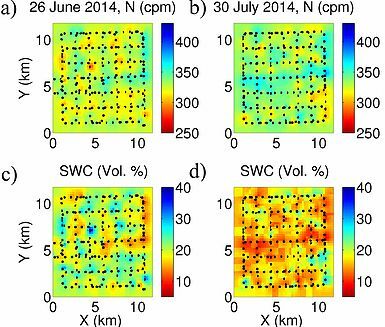 Combined analysis of soil moisture measurements from roving and fixed cosmic ray neutron probes for multiscale real-time monitoring. Geophysical Research Letters, 42(9), 3389-3396. Wang, T. J., Franz, T. E., Yue, W. F., Szilagyi, J., Zlotnik, V. A., You, J. S., et al. (2016). Feasibility analysis of using inverse modeling for estimating natural groundwater recharge from a large-scale soil moisture monitoring network. Journal of Hydrology, 533, 250-265. Gibson, J., Franz, T., Wang, T., & Eisenhauer, D. (2017). A case study of field-scale maize irrigation patterns in Western Nebraska: Implications to water managers and recommendations for hyper-resolution land surface modelling. Hydrology and Earth System Sciences Discussions, in press.